I have a confession: I hate to iron. My hubby does the ironing in the house, when it's needed. I try to stay away from clothes that wrinkle easily, but sometimes it is unavoidable. In those cases, I turn to Dryel. It allows me to wear what I want, when I want, without a trip to the dry cleaner or pulling out the iron. 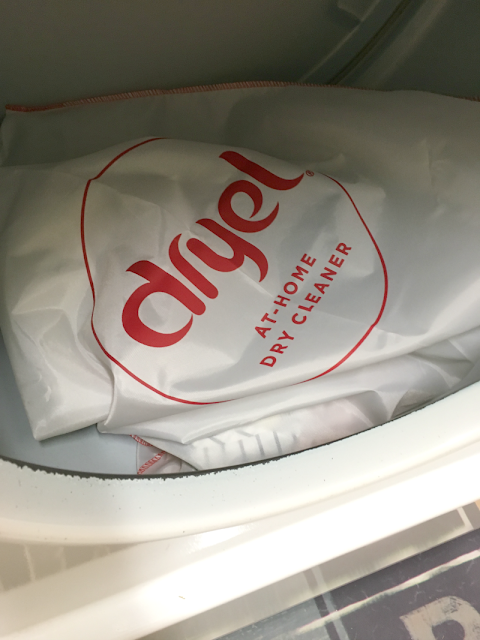 The Dryel At-Home Dry Cleaner kit contains a Dryel fabric care bag, four cleaning clothes, Stain Pen, and Odor & Wrinkle Releaser, which will clean up to 20 items. It is easy as 1-2-3 to use! 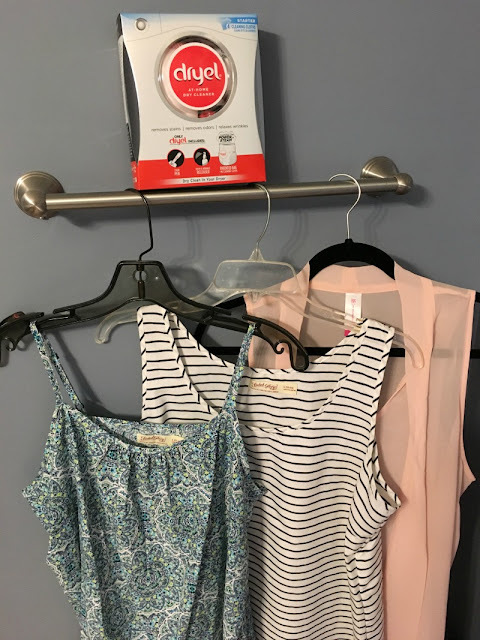 In addition to steaming the wrinkles out of your clothes, it also refreshes them. Due to lack of space, (and maybe too many clothes) I pack away my seasonal clothing. 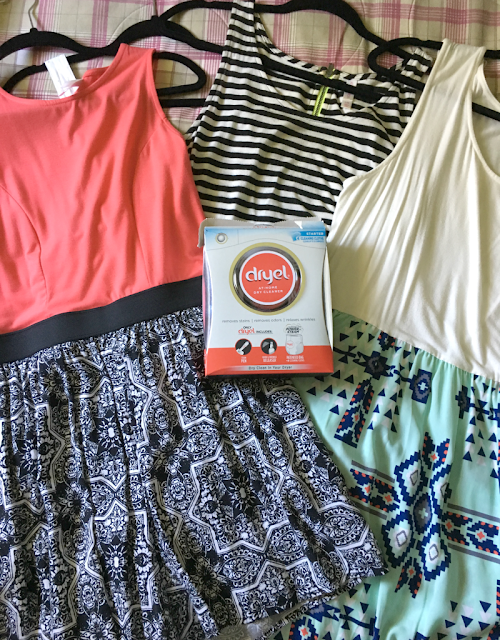 Dryel is perfect for refreshing my cute summer tops and sundresses after I pull them out of the storage bins they have been mushed in for the past few months. I can wear them when I want, without ironing or spending money at the dry cleaner. Have you ever had to change your outfit at the last minute due to stains or wrinkles? You don't have to worry about this anymore with Dryel. 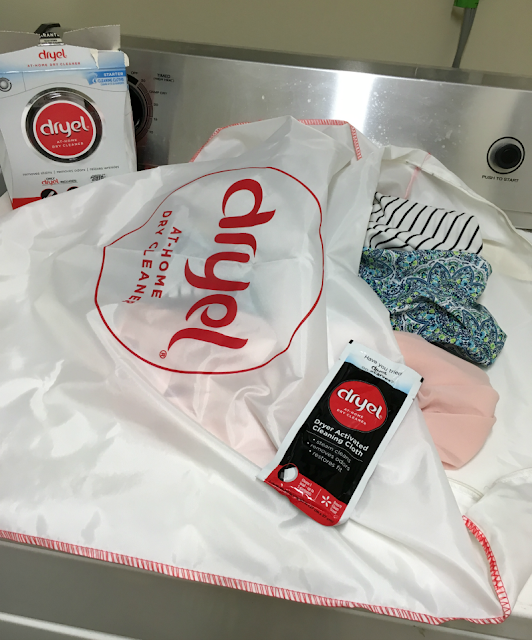 You can find Dryel in most retail stores across the US and Canada. Visit http://dryel.com for more information. This sounds so convenient... seriously, this would save me SO much time! I hate ironing!